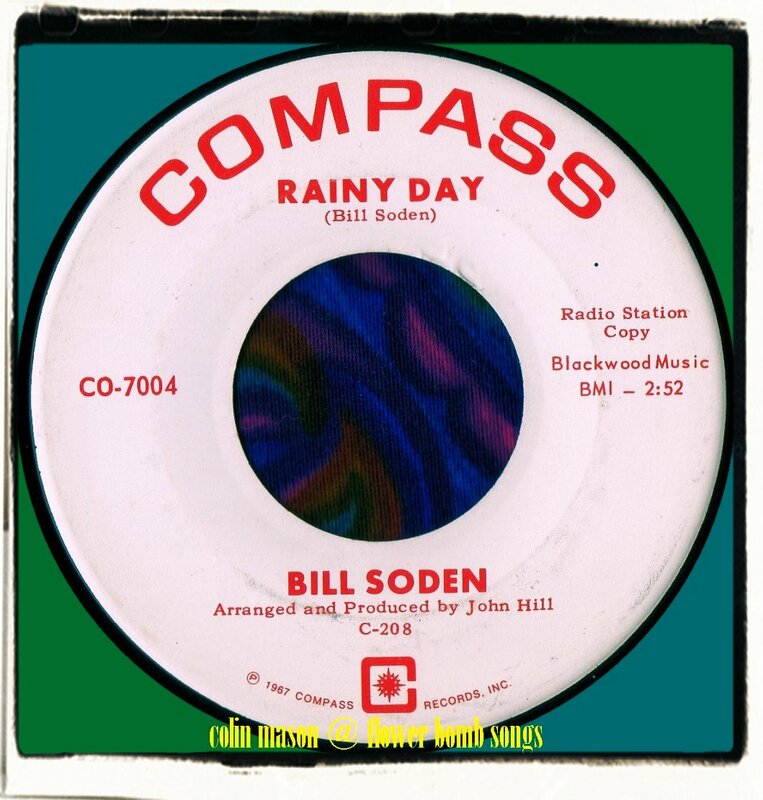 Every now and again I hear a song that really eats away into my mynd, this one by Bill Soden, because it's so beautiful and created by a singer/songwriter that is so obscure that even in 2013 hardly anything has been written about him. I first heard Bill Soden on a Fading Yellow compilation when his sitar infused folk psycher 'My Mermaid And Me' was given some deserved acclaim. I've since did some research and over ten years ago Mr Soden was located by someone from the yahoo group 'spectorpop' and some pickings of information was gleaned from him. 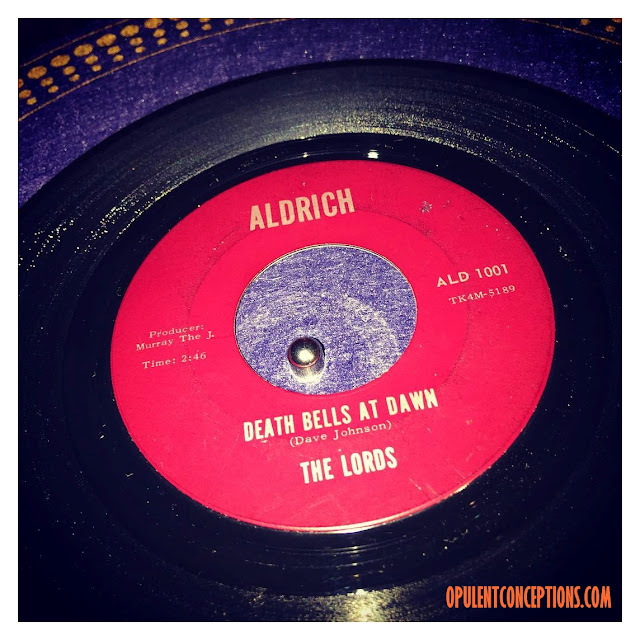 It turns out that Bill Soden hailed from New York and released several 45s on different labels between 1967-69 that went nowhere. He even recorded under the alias of Jessie Cochran but I've found no releases by this name. 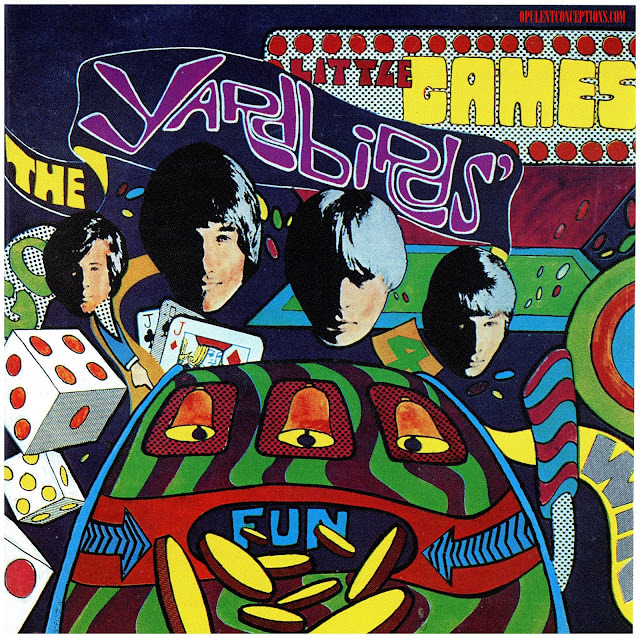 Both sides of this 1967 disc on the fledgling Compass label are recommended, but for me, the stand-out is the exquisite 'Rainy Day' on the flip. This has a stunning melancholic melody dripping in the orchestrated psychedelic folk sound that would become popular in late '67 when David McWilliams had a big hit with 'The Days Of Pearly Spencer'...Bill Soden was ahead of his time, shame that few would have heard 'Rainy Day' back then because as I mentioned earlier this was a B-Side. Great song!Can you post"An Echo In Your Mind"
Susan Christie kicks off her "Paint A Lady" album with this song... her voice is perfect for this song... Thanks for the info on the writer.